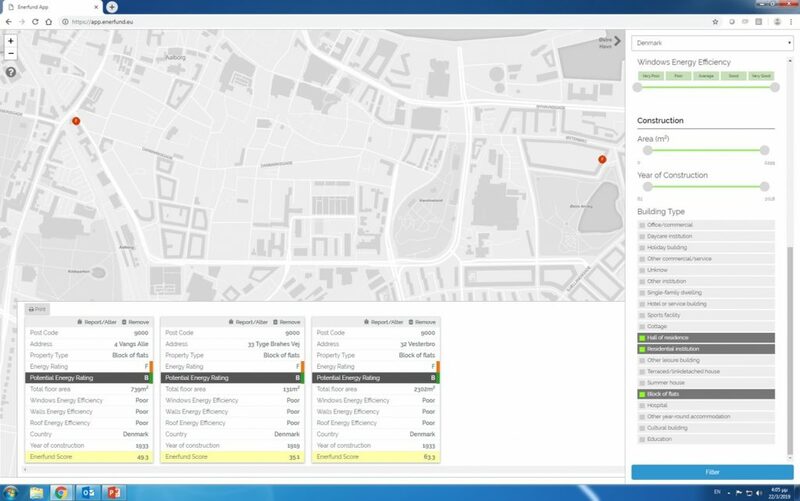 The ENERFUND tool is used to search and find buildings that have retrofit potential. 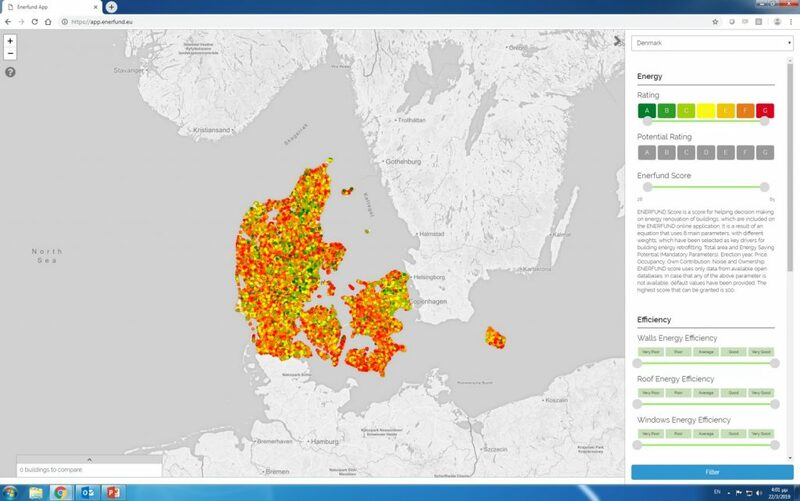 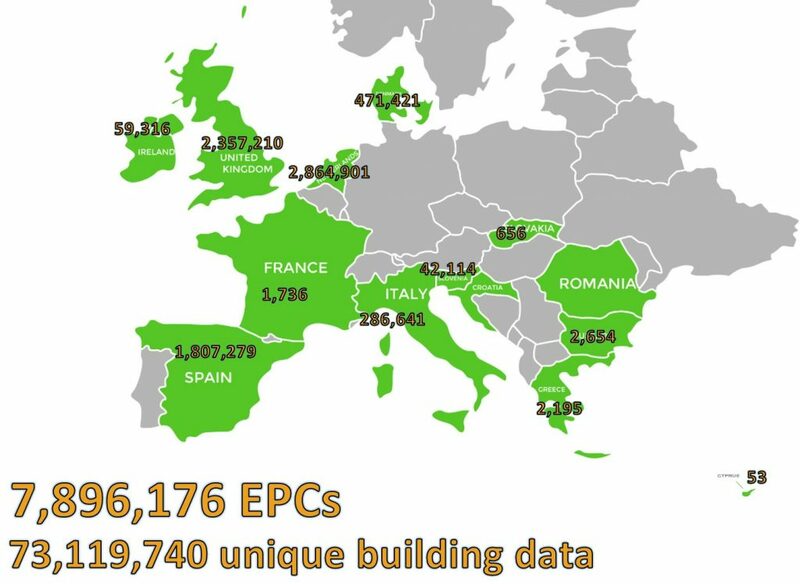 With more than 8 million Energy Performance Certificates (EPCs) mapped on ENERFUND EU, one can use the tool to search and find buildings within their country that fulfil their specific criteria. 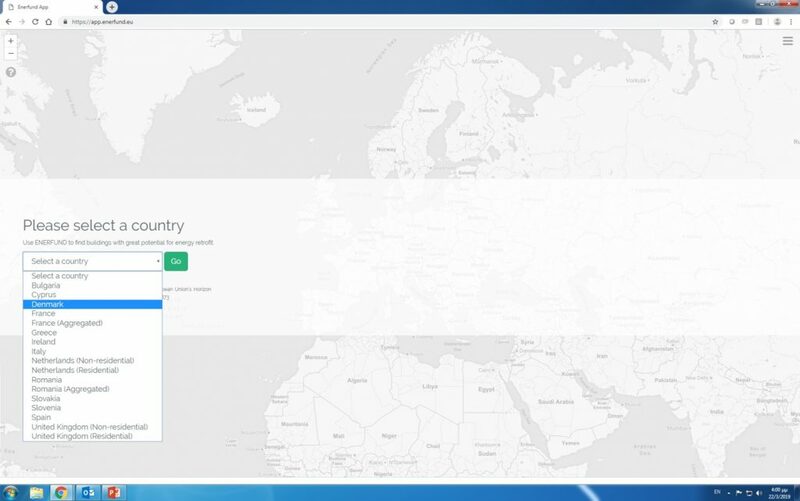 The country of Denmark is used in the following images as an example.